Swedbank has been the focus of breaking news stories every day this week. There have been two reports into potential money laundering activity at the bank. 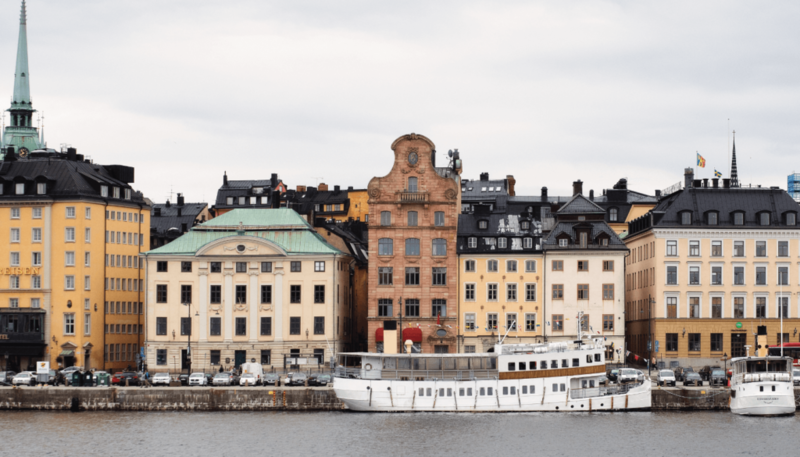 On Wednesday, it was announced US regulators have launched multiple inquiries and Sweden’s Economic Crime Authority conducted an office raid in connection with whether large shareholders were given unfair warning of the scandal. Meanwhile, Bloomberg reported on an investigation into whether relations between senior management and regulators meant there was impartiality in the case. Then Thursday, it was announced they sacked their Chief Executive. I will be publishing a more in-depth look at each of these developments on Monday, as well as looking at the results of the annual general meeting held on Thursday. Thinking about the immediate implications of this saga, the impact this has on regulation and supervision in Europe is one of the issues to watch (see this press release released last week). As important, if not more, is the research into specific examples of how the system was used to conduct money laundering on this scale. Amidst the dramatic stories released this week, Koos Couvee’s investigation risks getting lost, however, it provides great insight and is an important read. The 1MDB scandal cast a shadow over Singapore’s reputation as a financial centre. In its wake MAS has made public fines levied against banks failing to meet AML standards. This amounted to fines on 42 financial institutions totalling SG$16.8m (US$12.4m) from mid-2017 to end-2018. The fines largely exclude the SG$30m (US$22m) levied for AML breaches related to the 1MDB case which mostly came pre July’17. Investigations into those flows led to penalties on a total of 8 banks (including Credit Suisse, Standard Chartered, and UBS AG) totalling US$21m. Most interesting in my view were comments by Gillian Tan, Executive Director of enforcement at MAS, who said “as Singapore’s financial industry grows in size and complexity, so will the risks of financial misconduct…Enforcement plays a critical role in financial supervision”. Singapore is heavily focused on becoming a centre for innovation and fintech, and they have been among the most forward thinking globally. MAS is clearly keen to show that this comes with maintaining strong standards. Fintechs take note. With three licenses granted and five more apparently on the way, the Hong Kong Monetary Authority is opening the door for technology to disrupt retail banking. The licenses include the ability to accept deposits and lend. The initiative was originally announced in 2017 together with a digital payment system using mobile numbers and email addresses for payments. The payments system has already handled $13b of transactions since September. It is worth noting that this is more a move to digital banking and not digital start-ups; the entities receiving licenses were joint ventures involving Standard Chartered, a Bank of China subsidiary and an online insurer ZhongAn Online P&C Insurance. Commentators have shown surprise that Tencent and Ant Financial were not part of this first round of approvals. See these articles from the FT, Bloomberg and South China Morning Post for more detail. A bill protecting banks from prosecution by the federal government for servicing the cannabis industry has been approved in congressional committee. Under the SAFE Banking Act, proceeds from transactions conducted by cannabis or cannabis-related companies would not be considered as proceeds from illegal activity. With marijuana legalized in some capacity in 47 US states, and all Democratic party major 2020 presidential candidates supporting outright legalization, the likelihood of flows related to marijuana going through financial institutions is increasing. Even if the bank doesn’t hold accounts directly for producers, the interconnectivity of the system means they will be concerned with what other institutions are putting through their pipes. Over the last ten years these internal debates raising legal and reputational issues will have taken place regarding nested correspondents, MSBs, and more recently Crypto. The legislation has a long way to go before being passed, but the implications for how banks scrutinise transactions are far reaching. Finally, deal or no deal? OFSI talks licenses in the event of no-deal Brexit. Regardless of what happens with Brexit, OFSI will continue to handle applications for licenses under sanctions regimes up until the date of exit. This is part of wider efforts to ensure as much continuity as possible, even in the event of a no-deal scenario. So, that’s one less thing to worry about then.